This is part 5 of our traveling yoga teacher interview series. Each Wednesday we will release a new interview of a different traveling yoga teacher. If you know someone who would be a good candidate – email us at TheYogaNomads@gmail.com. Today we will learn from Lucy Foster-Perkins from LucyFosterPerkins.com. 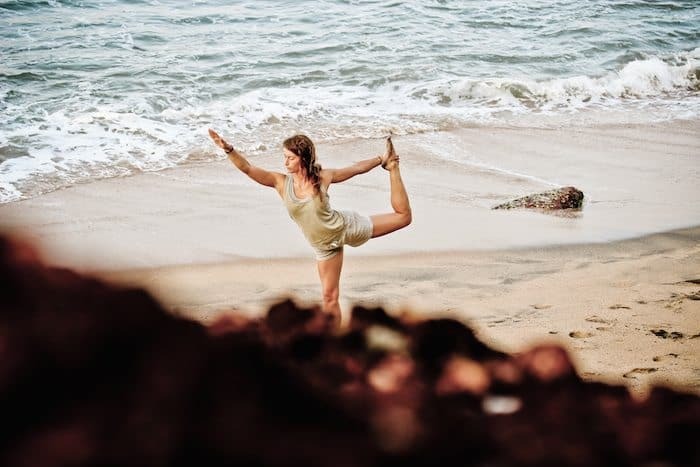 After ditching her professional dance career in London, Lucy became a traveling yoga teacher specializing in Yoga for Surfers. We got the opportunity to take a few of Lucy’s classes at Soul & Surf yoga and surf camp in India. Yoga compliments the common surfing ailments quite well – low back compression, tight shoulders, strained hip flexors, etc. 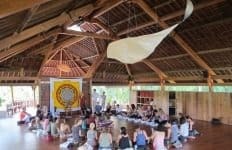 Although Lucy still travels quite a bit, she has recently made a “home base” in Bali where she teaches at Bali Fit. It’s pretty amazing how she’s built a life around the best of both surf and yoga! If you have additional questions for Lucy, please leave them in the comments below! What was your life like before teaching yoga around the world? I was working as a professional contemporary dancer in London and Austria before I decided to travel and teach yoga. Dancing is an amazing profession when you’ve got a job, but they’re usually few and far between so the rest of the time is spent training, auditioning and doing what you can to make the ends meet. My own practice has become a lot more restorative to help balance out my life. Do you have a home base or are you always on the road? I’m now based in Bali, so this is my home for the time being. I’ve been working in France, the UK, Sri Lanka, India and Sumatra since I started traveling with yoga so it feels so nice to finally have a more permanent base! Many people would say traveling the world while teaching yoga and surfing is a dream come true – can you share a time when you struggled with the lifestyle? I’ve certainly struggled with fatigue in the past. Living in the tropics is pretty tiring as it is, let alone when you’re teaching and surfing every day. My own practice has become a lot more restorative to help balance out my life but I’ve become quite ill in the past when I didn’t listen to how much pressure I was putting my body and mind under by working too much on top of all the other things I do in my day! You specialize in “yoga for surfers” – how does that affect your ability to find teaching gigs? Finding a niche in my teaching has certainly helped me get teaching positions. Surfing is something I’m just as passionate about as yoga so I usually look for companies who have similar interests, and they’re usually looking for someone who understands their passions too. I’ve been really lucky when it comes to finding work as it’s seemed to come quite easily. I also believe that when you find what you’re really meant to do in life, or at least at this moment in your life, then life has a way of pointing you in the right direction and giving you a hand to get you there. 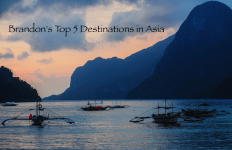 What tips can you share with aspiring traveling yoga teachers? I’d encourage everyone to play with their strength and personal experience and see how that effects what they can offer in their teaching. Companies abroad that are offering specific experiences to their guests are usually looking for a specific teacher who reflects their own ethos. If you have an idea of what you can offer that’s specific to you then it’s easier to look for companies that have similar outlooks or offer similar experiences. For me that’s combining surfing and yoga, but it may be cycling and yoga for someone else, or working with young woman, or beginner yogis, or whatever it is. For me that’s combining surfing and yoga, but it may be cycling and yoga for someone else, or working with young woman, or beginner yogis, or whatever it is. I think if you know what your own interests are then a) it’s easier to find a company that you’ll like working with and b) they’ll be more interested in what you can offer to their company/retreat/studio. 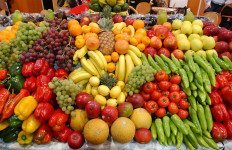 How do you support your lifestyle? I work where I travel. I don’t earn as much as I would if I taught at a ton of studios in London, for instance, but living in the tropics is a lot cheaper than living in the UK. Most importantly though I love my life and my work, so it wasn’t a hard decision to make to take the pay cut. What is a recent purchase (under $100) that has had a huge impact on you? I’m not really a big spender. Traveling definitely makes you think about what you really need because you’ve got to carry everything around with you. I either spend my money on day-to-day things like food and transport, or I have bit expenses like a flight, surfboard or course, but they’re always over $100. I did buy a bunch of plants for my villa in Bali recently though which have actually made quite a difference to my life. It’s been so nice to have a base and to make it feel really homely. It’s something I’ve really missed while I’ve worked a few months here and there. So I’d say my plants have been a really nice addition to my life! 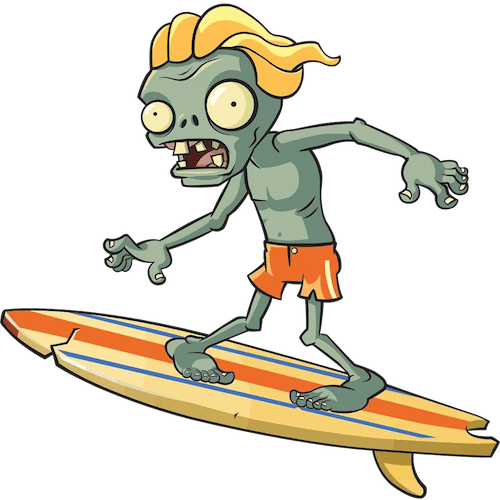 Can zombies swim? Because if they can’t I’d grab my surfboard and my friends and go for a reeeeeaaally long surf…. 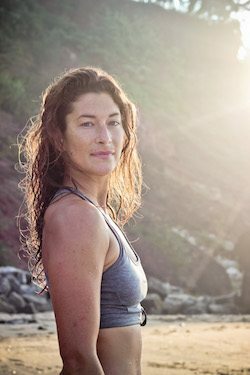 Lucy quit being a professional dancer in London to teach yoga to surfers in Europe and all around Asia. 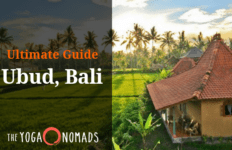 After 2.5 years of traveling and teaching she recently settled in Bali, where she mainly teaches at Bali Fit – a fitness training centre for individuals, surfers and athletes. She also create online yoga classes for surfers for surf brands, magazines, websites and my own YouTube channel wherever I am in the world. 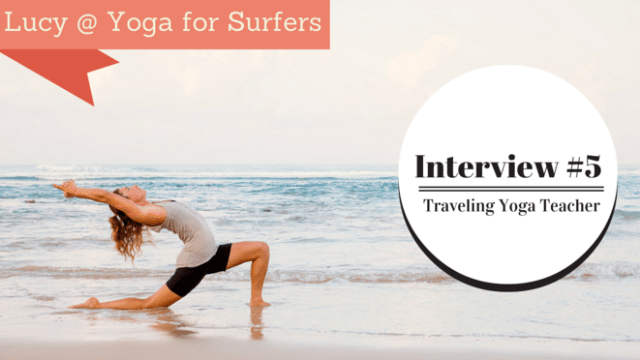 Great tips on teaching Yoga to surfers. I myself is a yoga trainer, but the way it is told how to teach and why to teach yoga to surfers is amazing. Thanks!